Porgs may not taste like chicken—at least according to the people we talked to—but they sure do talk like them. 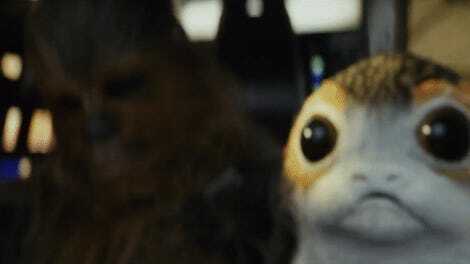 In an interview with D23, sound designer Ren Klyce discussed how the team came up with the voices for porgs, the cute alien birds that live on Ahch-To with Luke Skywalker. 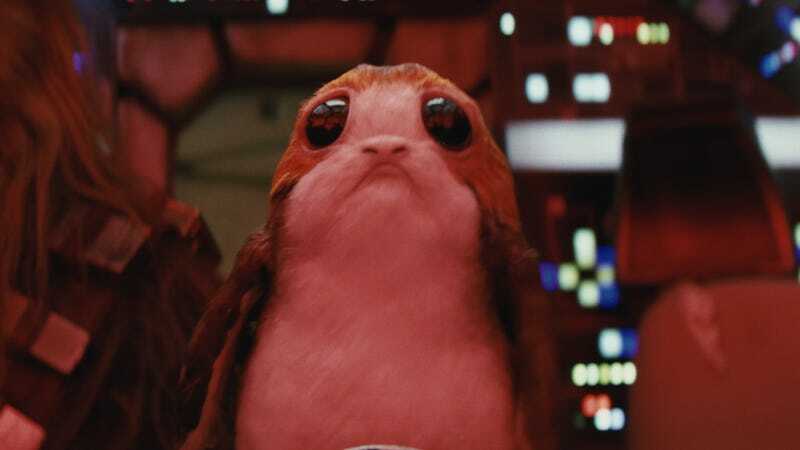 Klyce said porgs were one of the first sounds they were assigned to produce, with director Rian Johnson saying he didn’t want their voices to sound “screechy, or irritating, or squawky.” After experimenting with a couple different voices, the Eureka! moment happened after a visit to the local chicken coop. “At Skywalker Sound there’s a chicken coop with these little chickens, and Coya Elliott, our first assistant, went down and recorded those chickens. And then we took that sound and slowed it down and stretched it out and found little chirps,” Klyce said. But after all that work, there were a few elements missing, so they added in hints of dove and turkey calls to make it sound more alien. The doves were thanks to a guy who releases them at weddings. However, the turkey call came from a far more surprising place—one of their interns. Klyce also detailed how they came up with the sound design for the fathiers, the large floppy-eared beasts that were being used for races in Canto Bight. Turns out, they sound exactly how they look (with a little bear thrown in).